Here, an image of a person of interest in a homicide in Cocoa, Florida. The history-making launch of SpaceX's Falcon Heavy rocket, and its Tesla Roadster payload, on Tuesday (Feb. 6) drew crowds of reporters and enthusiasts, including 65-year-old Terry Scott Hilliard, who was found dead in his motel in Cocoa, Florida, the next morning, according to news reports. Hillard had traveled to the Kennedy Space Center in Cape Canaveral from Ocala, Florida, according to news reports. The Cocoa Police Department are regarding his death as a homicide, according to Florida Today. Though the police haven't released Hillard's cause of death, they have identified a person of interest in the case. According to Florida Today, surveillance video from the Dixie Motel revealed a dark-haired white man in his mid-20s who has a short goatee, who had accompanied Hillard to the motel Tuesday evening. Investigators consider the man a "person of interest," and they are now trying to figure out any connection between the two men. Both state and national bulletins are out to find the person of interest, according to the police department. "Right now we believe he could be armed and dangerous," Police Chief Mike Cantaloupe said during a briefing posted to the Cocoa Police Department's Facebook page. Florida's Space Coast Office of Tourism office estimates about 100,000 people flooded into Florida to watch the historic launch. 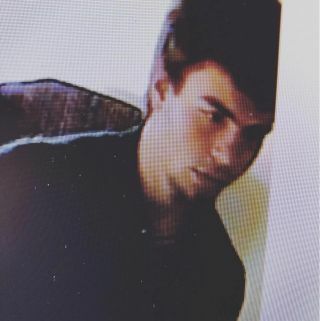 While that could make finding the person of interest tougher, Cantaloupe said the crowds could work in his favor: "I'm hoping that would work to our advantage, because there were so many people here, maybe if someone sees this picture," Cantaloupe said, asking the media to disseminate the image of the person of interest. "Get that picture out as much as you can. The more people who see it, the better chance we have in getting to him, finding out what happened." The police department is asking that anyone with information contact the Central Florida CRIMELINE at 1-800-423-TIPS (8477). "Callers will remain anonymous and can be eligible for cash rewards of up to $5,000 in this case," according to the department's Facebook page.